This was the first Grand Final played at Football Park. As the ground was nowhere near completion, it wasn’t protected from the elements and a strong 5 goal wind was blowing towards the golf course end. Paul Bagshaw won the important toss of the coin and he elected to kick with the wind in the first quarter. Using the wind to their advantage Sturt led by a possible match winning 40 points at quarter time after kicking 6.5 to Glenelg’s solitary point. However by half time the Tigers had come back, using the breeze to their advantage by kicking 4.5 and holding the Blues to only one point for the quarter. Sturt led by 12 points at half time and with rain falling were looking good as they would be kicking with the breeze in the third quarter. In an amazing third quarter by Glenelg where they applied short kicking and handball out of defence, they restricted the Blues to a score of only 6 points for the quarter, while kicking 2.1 into the breeze. 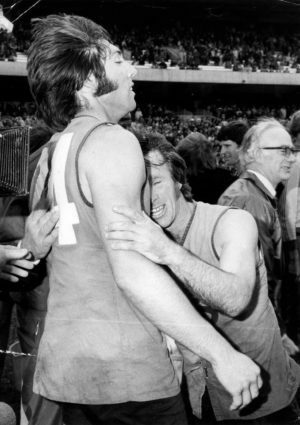 At three quarter time Sturt was leading by only 5 points and with the Tigers to come home with the breeze most were thinking that it was only a matter of time before Glenelg would go back to back, after winning the 1973 Grand Final. In the last quarter Sturt went all out attack and did exactly what the Tigers had done in the previous quarter, holding Glenelg to only 2 goals while scoring 3.4 themselves. A telling move by Sturt coach Jack Oatey was to bring on the fresh legs of reserve player Robert Barton who had an immediate impact. 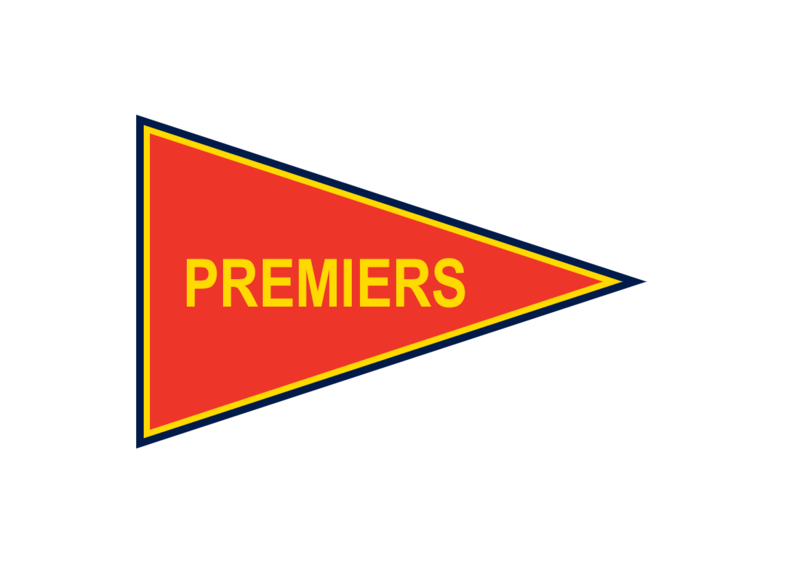 Sturt led by 25 points by midway through the last quarter before Glenelg again came back, but Sturt hung on bravely and ran out winners by 15 points. Ruckman Rick Davies and rover Michael Nunan tied for the best on ground honours. This game marked Robert Oatey’s 250th game and his first Premiership in a long and distinguished career and also the 259th and final game for All Australian and Team of the Century member Brenton Adcock.